Established in the year, 2011, we, Featherfeel Nonwoven Pvt. 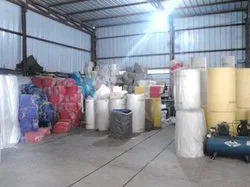 Ltd., are engaged in manufacturing, wholesaling and exporting a wide array of Non Woven Fabric, Non Woven Bags, Non Woven Wax Strips, Interlining Fabric and Non Woven Tape. We are widely appreciated for offering an optimum quality range of these products. 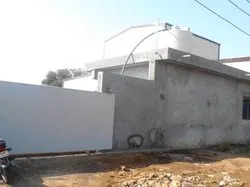 These products are manufactured by utilizing advanced techniques and methodologies as per the specified guidelines and standards of the industry. The entire range of these products is widely appreciated for various features like durability, high tear strength and flawless finish. Moreover, to keep pace with the ever growing demands of the industry and the customers' requirements, we even ensure to upgrade the entire array of these products. We are immensely benefited with the consistent efforts of our diligent professionals. These professionals put their best steps forward in meeting the needs of the customers in the prescribed time frame. 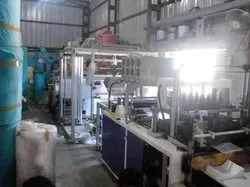 Moreover, we have set up a large production unit with an experienced research and development department to offer the best customized solutions to the clients. Further, we also provide quality measuring and testing facilities with these products in order to deliver a defect-free range of products to the customers. Our warehousing facility is easily accessible by all modes of transportation such as road, by air and by sea. Hence, our entire consignments are always delivered at the respective clients' end within the committed time. We are fortunate enough to work under the visionary guidance of our director Mr. Ravish. He has been a driving force behind the success of our organization. His exceptional leadership skills, motivating persona has always inspired us to carve an edge in the industry ahead of our counterparts. We have always paid utmost attention towards offering a quality-assured range of products to the customers. 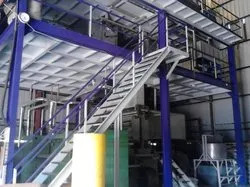 This offered range of products is processed using highly advanced machinery and equipment with modern methodologies. We always ensure to conduct the entire production processes in accordance with the specified guidelines and norms of the industry. Moreover, our offered range of products is thoroughly examined on several parameters before the delivery to gauge the defect-free nature. Owing to our quality-centric approach, fair trading policies and business ethics, we have mustered a huge clientele all around the world. We have developed a rapport in the industry by offering a wide array of Non Woven Fabrics and Products. These products are precisely manufactured from the best quality range of fabrics and other material, procured from the trusted vendors of the industry. Our offered range of products is widely appreciated for water resistance, high tear strength, sterility, perfect finish and softness. Owing to the above mentioned features, we are considered one of the preferred choices of the customers these days. This entire assortment of products is widely demanded in the apparel and home furnishing industries. Our team includes dedicated, laborious, intelligent and dexterous professionals, who work to fulfill the organization's goals and objectives. These employees are selected after a through assessment of their skills, talent and knowledge. Moreover, we organize proper training sessions in order to make them aware about the prevailing changes in the market. Our experts work in close coordination with each other and the clients' requirements so as to establish a rapport of the organization in the industry.